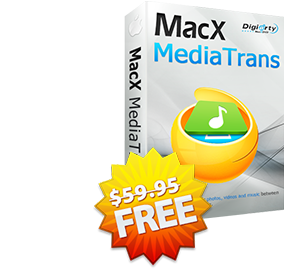 MacX MediaTrans (Giveaway version)The giveaway version doesn't support upgrade. Two way sync photos, music, videos, e-books, Voice memos, Podcasts, iTunes U, etc between iPhone and Mac. Backup & manage iPhone without iTunes. Full Version - $29.95 Only for Lifetime LicenseLifetime FREE upgrade. 30-day money back guaranteed. √ (Fast!) Transfer 100 4K pics in just 8 seconds. Two-way sync. √ Manage music: create playlists, ringtones; add/delete songs. √ Remove DRM, make iTunes purchases playback on other devices. √ Auto Convert iOS-unsupported video/music. Convert HEIC to JPG. √ Exclusive 50% off discount. Use lifetime license on two Macs. 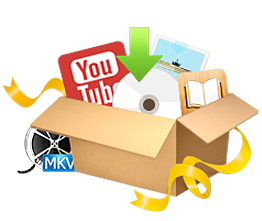 Rip encrypted DVDs, download online videos, convert among HD and general video formats, record & edit video, capture screen, transfer video, photo, music, ebook, etc between iPhone and Mac. 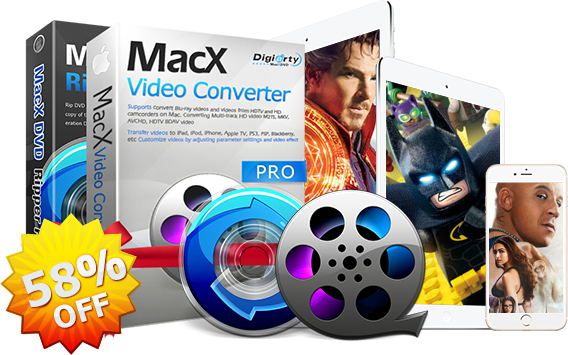 Transfer DVDs/videos to 420+ devices, iPhone, iPad, Android handset included. We hold 30-day money back guarantee if our products cannot normally work with error or bug and we cannot solve it within an acceptable period of time or provide a temporary solution. Congratulations! 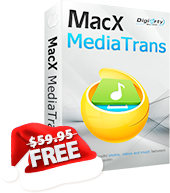 You win a free copy of MacX MediaTrans. The license information has also been sent to you via email. Or get Full Version with 50% OFF for more privileges! Sorry..We've run out of free copies today. The new supply will be available tomorrow at 10:00 am EST. Please come back then and good luck to you!